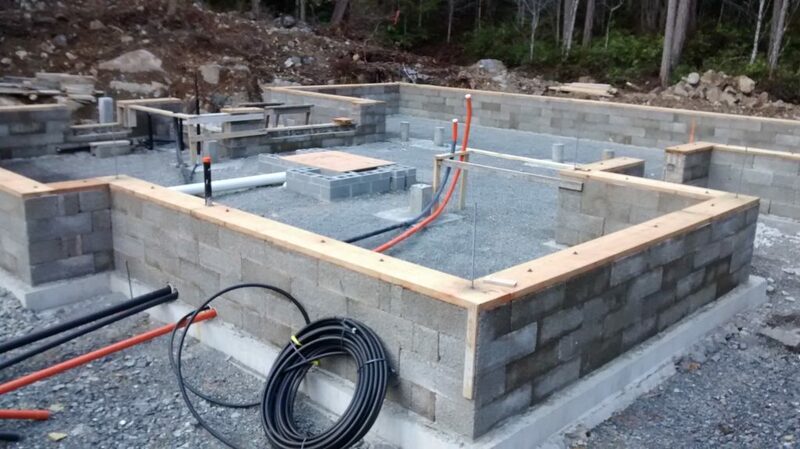 A new EcoNest on Vancouver Island is out of the ground. Keary Conwright, veteran EcoNest Affiliate is working with EcoNest graduate Shyanne to realize her new light straw clay home and faswall garage/shop complete with a root cellar. 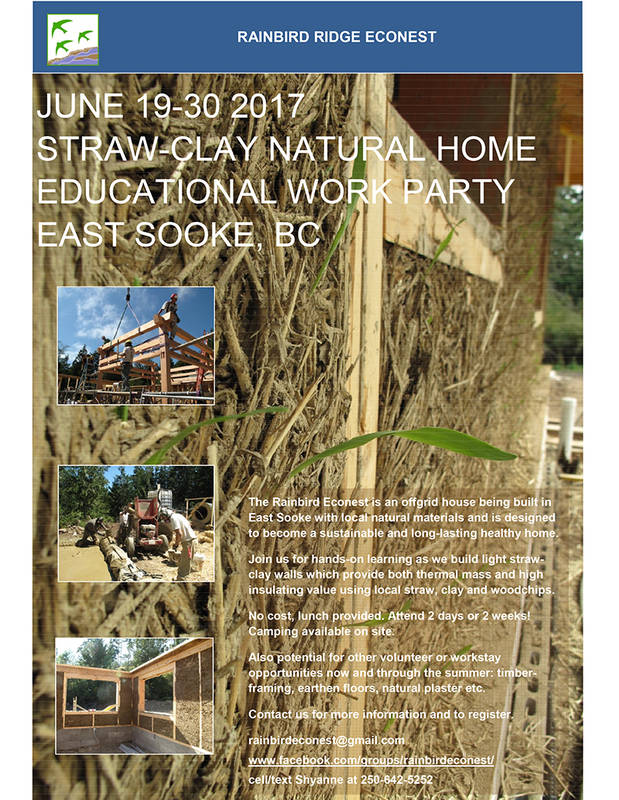 Join Shyanne for a straw-clay educational work party: a hands-on learning experience building light straw-clay walls which provide both thermal mass and high insulating value using local straw, clay and woodchips. No cost lunch is provided. Attend 2 days or 2 weeks! Camping is available on site. Faswall foundation of the home. 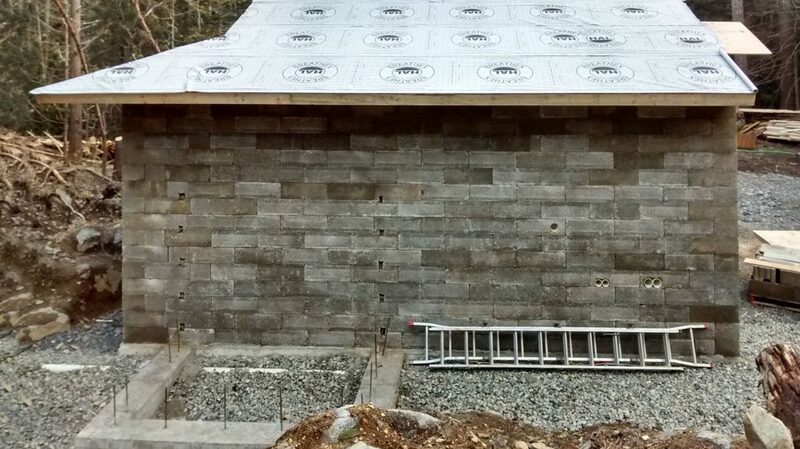 Garage and foundation for root cellar.